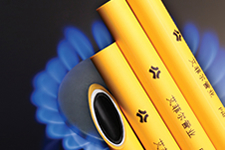 GAS PIPING | Wythe Sheet Metal, Inc.
Natural gas is economical, efficient & well worth the investment of installing in your home. It can be used for heating in your home, cooking your family meals, drying clothes & even heating your water. While gas is definitely a good investment, it can also be dangerous if not installed properly so you want to make sure that it is done professionally, safely & durably.